Thinking about buying? Visit the OC Buyers page for all the information, tools, and resources you need to successfully navigate the Orange County real estate market. Compare schools, amenities, entertainment, home values, and pricing trends in the OC Communities pages. 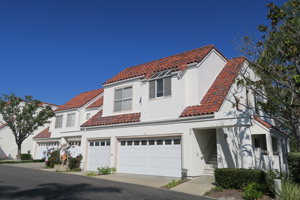 Search for Orange County property listings by city, price, area, tract, or zip code using the OCdwellings Property Search tool. Interested in having listings delivered straight to your inbox? Sign up to receive FREE email notifications as new properties come on the market. Considering Selling? Visit the OC Sellers page to learn about the home selling process, from consultation to closing, and everything in between. Check out the OCdwellings Blog for helpful tips on how to prepare your home for sale, ways to increase your home’s value, and creative ways to get your home sold in today’s market. Curious about your home’s values? Fill out the Seller’s Questionnaire to receive a no-obligation analysis of your property’s current market value. Each Orange County City has its own unique real estate environment. Our FREE weekly Market Reports will provide you with real-time data to help you make informed decisions.